In the past, Glasgow was mainly recognised for its ship building industry, rowdy pubs and chucking anything that was edible into a deep-fat fryer. Now the city has experienced rather a rejuvenation. As one of the most vibrant, friendly cities in the UK, Glasgow offers thousands of eateries, an exciting events calendar which is world-class, and a marvellously colourful multicultural spirit. Property is being bought up at a rate of noughts, and the city continues to expand on its 21st century transformation, year after year. With a whole host of tourist attractions on offer, this month is a bit different in that we’d like to offer you a taste of what it’s like to live here, with examples of activities and popular hang-outs frequented by locals. Galleries are all over Glasgow, but if they’re not on your radar, they can be easy to miss. Hidden in plain sight, amid bustling shopping streets, or at the top of Glasgow tenement buildings, if you’re not clued up, a lot of them can skip your attention. We recommend going to visit Mary Mary in the city centre, and The Vacant Space on Argyle Street. Exhibiting crazily different works from one another, Mary Mary is well-known for attracting pieces by international artists, while the latter typically displays work from Scottish artists. Both are a must-see and, if you follow them on social media, you’re likely to discover an exhibition opening which attracts locals…and free fizz! The Albion Hotel, of course! 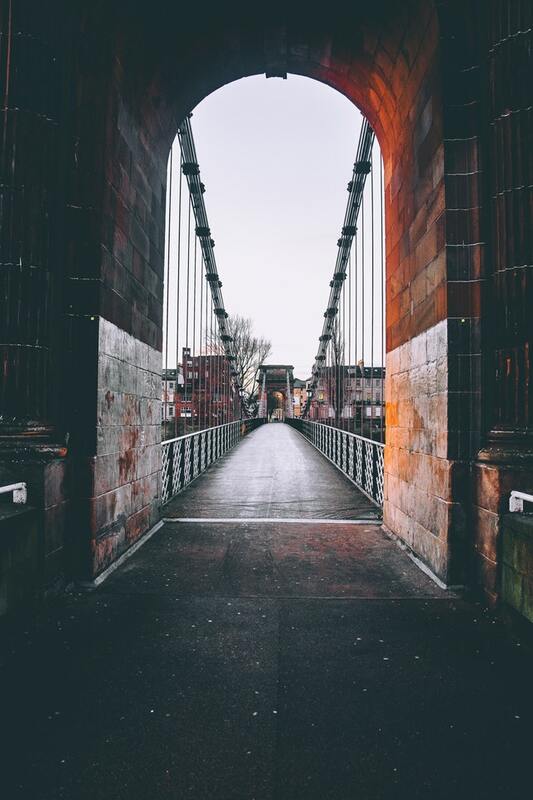 Our residence is within walking distance of two subway stations (which is the favoured mode of transport for Glaswegians in our area) and only a few steps from the best of the West End, the trendiest neighbourhood in the city. Glasgow boasts a vast array of restaurants, with every kind of cuisine you could imagine, so you really are spoilt for choice when it comes to dining out. To get a feel for the city we recommend going a wee bit off the beaten track. For vegan options try the Hug and Pint. Hailed as one of Scotland’s finest restaurants in 2016, anticipate contemporary, cruelty-free cuisine with live entertainment 7 nights a week. For the carnivores amongst you who love their meat and fish, options are plentiful. Brewdog’s Doghouse in the Merchant City offer lots of hot wings and smoky burgers, plus 25 types of craft beer. For a chilled vibe, shabby chic decor and vintage couches galore, get yourself to the Butterfly and Pig on Bath Street – late opening hours make this the ultimate spot to eat and drink all night. At last, if you’re in the mood for dancing, we in this city know how to party, and Glasgow boasts one of the most vibrant music and club night scenes north of the border. Subclub is the ultimate venue for live DJs, Sanctuary rates highly for top ten hits and One Up and the atmospheric Arta welcome a (slightly!) more mature party-goer.